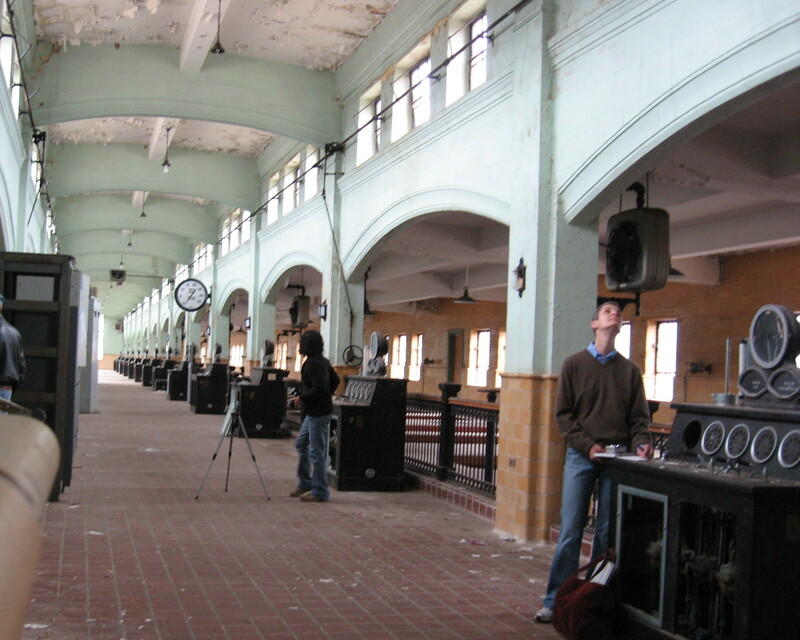 The first and most amazing truth is how the artists found, saw, loved and preserved the incredible piece of found art that was the Bain Water Treatment Plant. The artists, as a group, put aside individual ambitions (though not their individual styles and initiative) and sublimated their work to respond, so powerfully, to what was given. Almost as amazing was the breadth and rich variety of work generated out of this project. 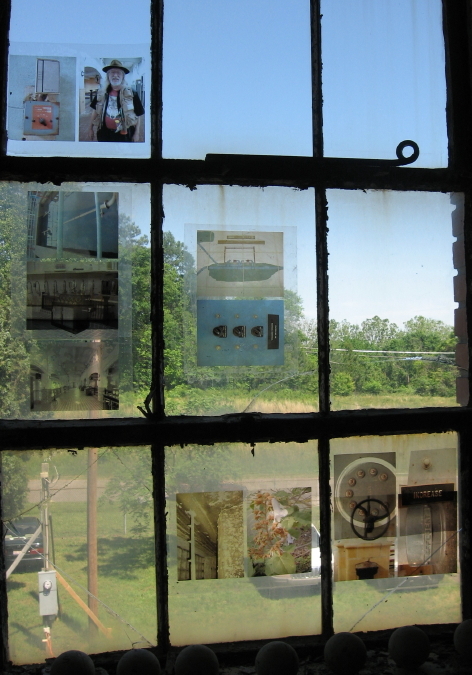 The initial glimpses of responses displayed at the Boylan Art Walk, the slide projections, mail art, photographs and paintings shown at the music fundraiser, the shower of documentation and Bain textures created at the preview show, all culminated with a massive but orchestrated symphony of sense experiences presented on site for two weekends. Last and most is how each person that came could build a totally unique, self-selected, more or less socialized experience for themselves to treasure, hopefully over multiple visits with lots of time for some details. That’s what I did, and the Bain Project became such a personal project that I can only review it from partly inside. 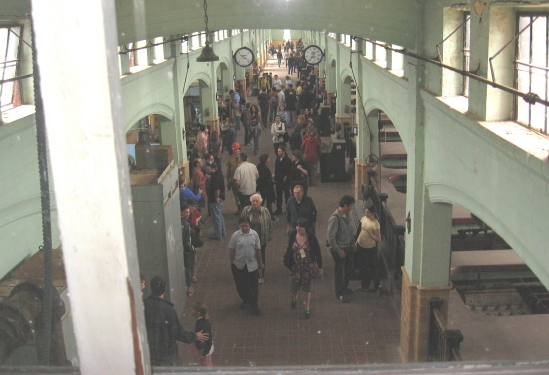 But that is perfect, because I repeat: the Bain Project brought everybody inside, inside an amazing space inhabitated by the spirits of water, clean industry, and civil structure, evoked and transmutated into very present and highly charged artistic structures, made by the wonderful Bain Project team. What an amazing challenge for a bunch of artists. The logistics of a small factory. But there was a ringer in the group. 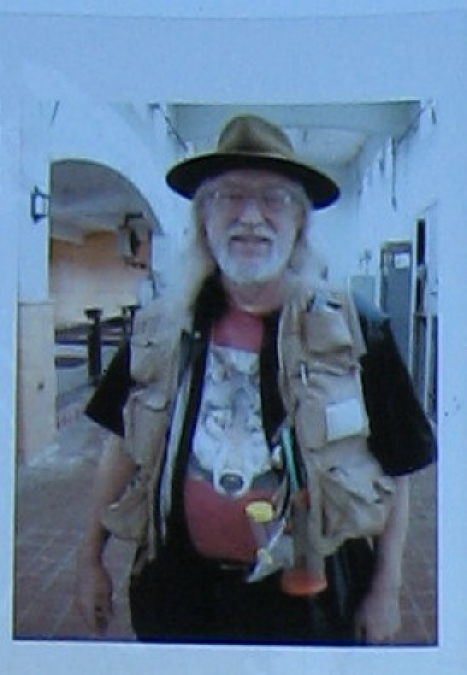 Daniel Kelly, who is Thomas Sayre’s right hand man in some fairly spectacular artistic endeavors, was the founder and leader of the Bain Project. He acted as liason with Greg Hatem, the owner and primary sponsor. He coordinated the artist meetings and kept the activities within some broad parameters, but Daniel found a way to really turn the artists loose and let some serious artistic consensus building take place. The project took on a life of its own and everybody breathed it. 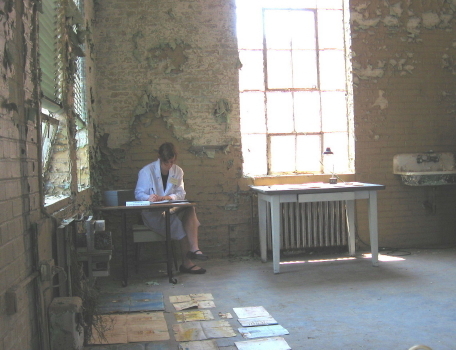 The Bain experience started with finding the damn place. 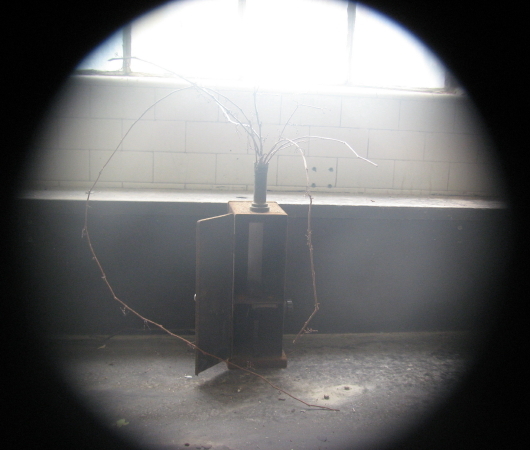 Isolated, sequestered, separated by chasym – all these things fit better than tucked away for the Bain site. Yet the crowds were huge each day. The poster said “site specific artwork,” but I don’t think visitors really knew what to expect. The perfectly lovely red brick art decco exterior led to a museum-like art decco lobby, and then after you were wisked into the “registration room,” all bets were off. Perhaps you would wander back to the front lobby, and discover the noxious but vivid chlorine room. 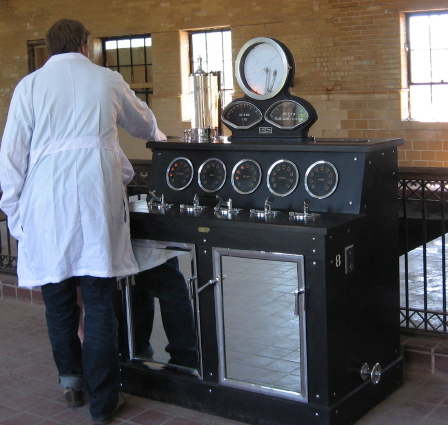 More likely, you would head right into the main hall of filtration tanks, which retained a strong sense of functionality, not least because of the beautiful, pristine restoration of one of the control panels by Christian Karkow. The row of large tanks, whose top openings are level with the floor, were a bit inscrutable. 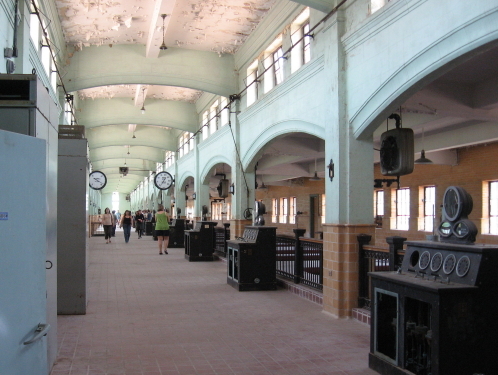 The symmetry and repetitions of the structures in this largest and least decayed room had a very calming effect. 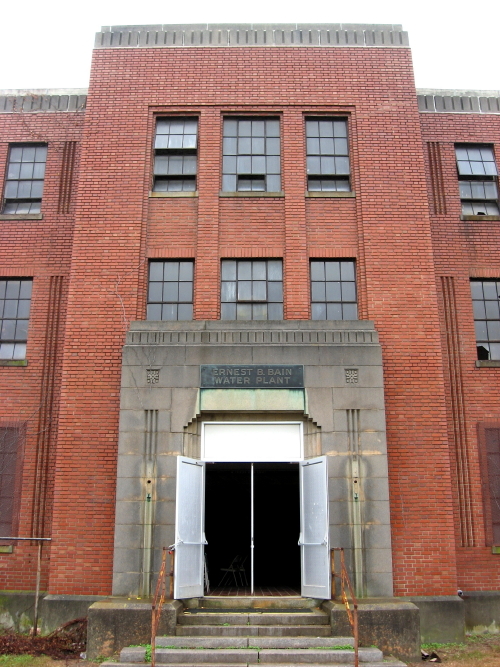 You might start discovering side rooms, or perhaps take the narrow central staircase down to the lowest level with huge pipes and valves, and then back all the way up to the small fourth story level with huge wooden cisterns and a nice view of the acres of outside water storage tanks surrounded by Piedmont meadow. 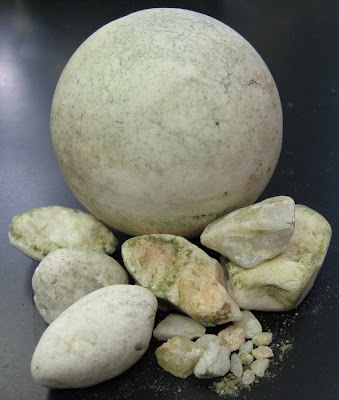 Wherever you go, you see various artistic treatments of the unpolished porcelain balls that constituted the largest aggregrate of the Bain facility’s geological filtration system. 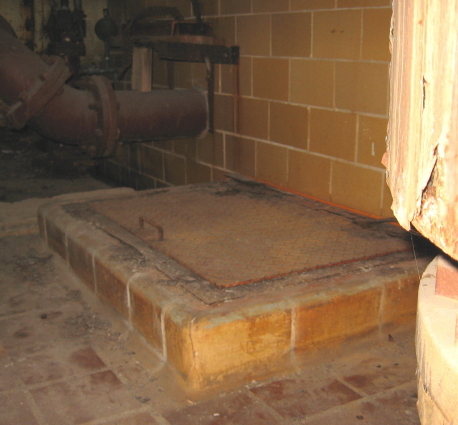 The Bain facility used gravity and the simple but effective filter formed by fixed sand to clean water for the City of Raleigh. 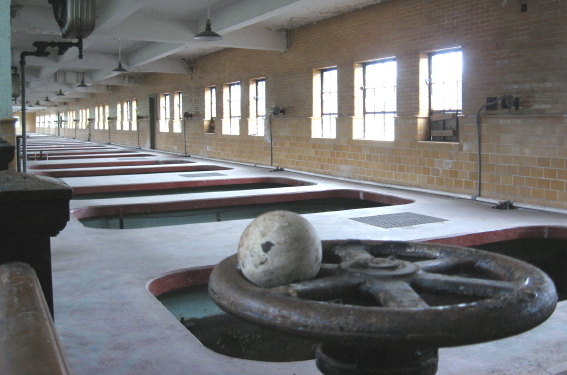 There were additives, especially chlorine, and many other complicating factors but the fundamental processes of the Bain plant are visibly inherent in the spaces and equipment. 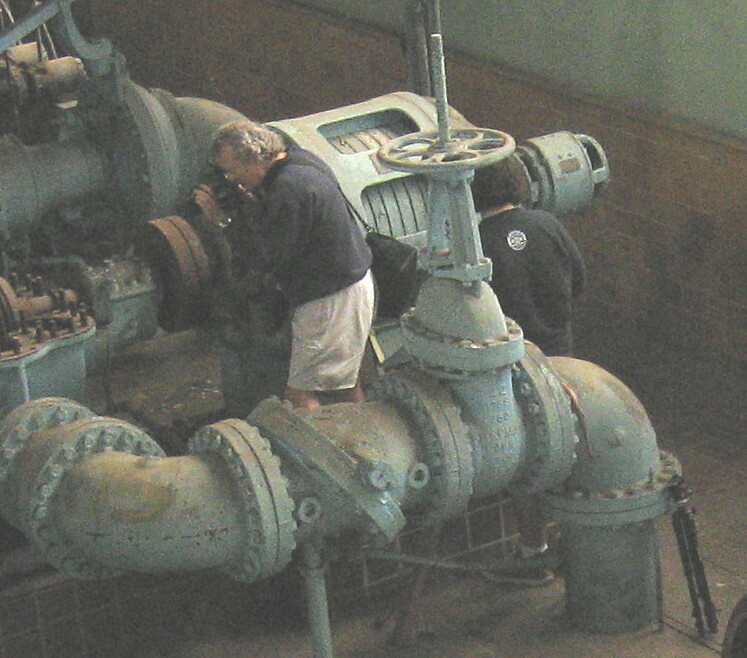 Rather than transform these technical elements or even disturb them much, the artists re-inhabited the human spaces in the Bain facility with installations that responded to and co-existed with the strong presence of water – water magnified and empowered by brute human technology. The Bain art project celebrated and brought out the best bits of this amazing system. It was a wonderful place to meet and greet, with many spectators and volunteers and also lots of Bain artists on hand at all times, which was part of what made the installation event so unique. By far the most spectacular piece of socializing I did was with my new urban explorer friends, who are going to show me the bowels of Pigeon House Branch underneath Glenwood South. They had been exploring Bain for at least as long as Daniel Kelly had been painting there before starting the project, and a couple of them actually served on the volunteer clean-up crew and also attended the event. They showed me what I had looked for in vain – the passage down to the main pipes leading toward downtown, where an old artist friend told me he had traveled with his spunky teenage daughter. After the event, I contacted the urban explorers and “Snailapple” turned out to be a very gifted and intelligent young man with a unique perspective on our urban landscape. 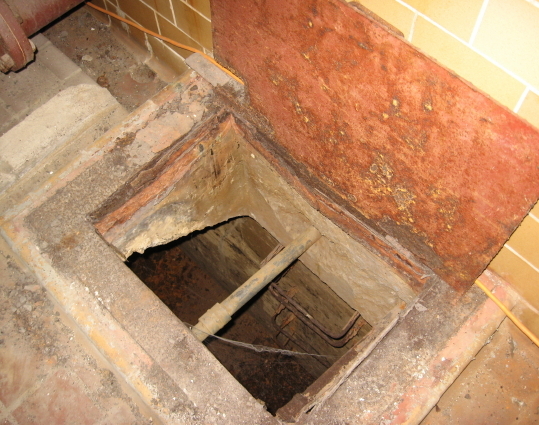 Above is the hatch that leads to Bain’s darkest recesses, pictured below. Click on the picture above to see Snailapple’s Bain pics. I was so lucky to get involved with the Bain Project as the Raleigh Naturalist, presenting to the artists on a Saturday morning last fall about Walnut Creek, Rocky Branch, and Raleigh’s watersheds. 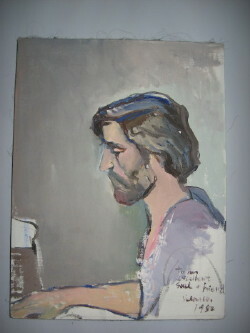 Several of the artists were personal friends, and several more became so during this process. I was asked to help with the final details of the watershed mapping activity, and I may yet help with the in-project documentation process. These ten posts have been a blast to write, and I feel I haven’t had so much artistic fun for years. Yeah, Bain!! 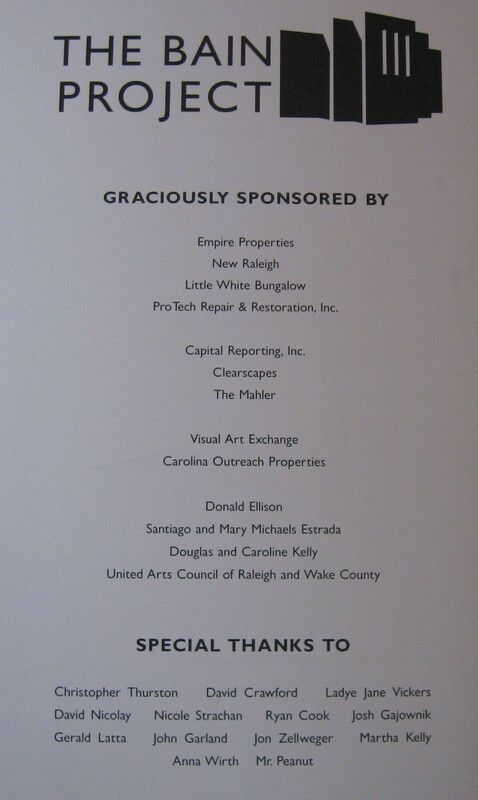 Thanks to Daniel Kelly, Tracy Spencer, the Bain artists and documenters, New Raleigh, Empire Properties and all the other sponsers for a great show!